Ernest Gallo, it is said, refused ever to countenance purchasing a brand from another company. While he was still alive, Gallo famously invested many millions in raising the image of the family wine company, to the extent of physically remodelling the Sonoma vineyard in which it would produce a limited edition Gallo Reserve wine. A few years later, Gallo changed tack and bought several high profile wineries including Louis Martini, William Hill and Barefoot… now one of the fastest growing brands in the world. Sometimes, it seems, there are limits to what one can achieve under one’s own name. Which leads me to the story of Tesco’s move (as a minority shareholder) into the coffee shop market in the shape of a new chain called Harris+Hoole. The first outlet has already opened in Amersham and there are plans to launch 10-15 more. It will presumably not be long before packs of Harris+Hoole arabica appear on Tesco’s shelves. Expanding beyond its traditional brand name is part of a new trend for the chain which controls some 30% of the UK grocery market. It quietly moved into garden centres with the 2008 acquisition of Dobbies, and in 2011 it bought a video streaming business called Blinkbox and this year a music streaming counterpart called We7. 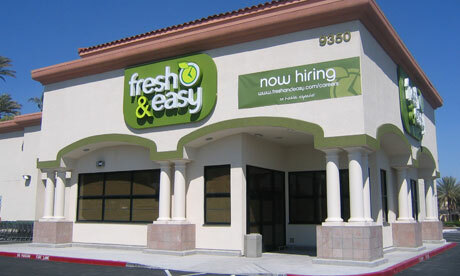 In the US, Tesco’s less than thriving grocery business is called Fresh & Easy. Im waiting for them to put an offer in for The Market Square! @winepeopleAU wroteWoollies in Oz own Langtons (fine/auct) BWS (high st) Dan Murphy’s (suburban warehouse) + Woolworths Liquor. Half the market… How could I forget Woolworths in Oz now own, at arms length, Cellarmasters (Direct Marketing). Inspiring Tesco?